The Chinese have known about the medicinal benefits of green tea since ancient times, using it to treat everything from headaches to depression. And it states that green tea has been used as a medicine in China for at least 4,000 years. Infact I'm a green tea drinker. Not for the love of the taste — no way! I drink it because I’m told it’s good for me…or, to be honest, the real reason I drink it is because I believe it help keeps my weight in check. 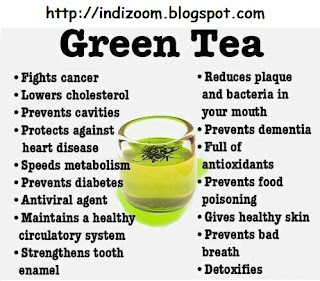 But recently I decided to look into it a bit deeper and see what are all these other benefits of green tea people talk of.